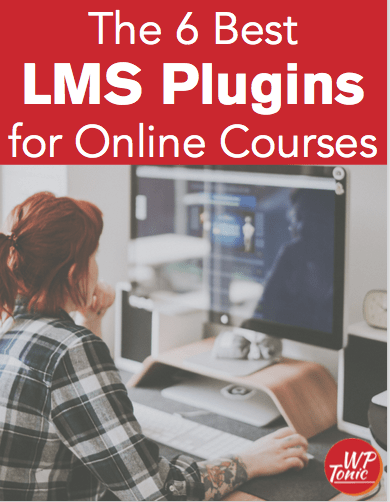 So you are looking at developing your first online course however, you like to avoid some of the fundamental mistakes that a lot of people make when going down this road. Both me and Cindy have load of experience to share with you in this special episode of the WP-Tonic Show which should help you avoid wasting time and money on things that you shouldn’t care about or spend money on connected to your first course online. Jonathan: Welcome back folks to the WP-Tonic Show. It’s episode 331. We were supposed to have a great guest this show and I’m going to total butcher her first name and surname and I’ve been causing hysterics for my co-host by doing it and that’s Mojca Zove. She was going to join us today but unfortunately, she’s got a family illness, a severe illness and she hasn’t been able to come on the show but she has booked another date with us and she will be coming on the show. She’s a lovely lady. She’s been on the show before and a great guest and very knowledgeable about social media so she’ll be returning but have her in your thoughts because she’s dealing with a serious family illness. And I’m on holiday folks. I’ve been unleashed from the WP-Tonic studio and I’m recording from my sister’s spare bedroom. So I’m in holiday, vacation mood so anything could happen and we’ve thought up a last minute topic. Could you tell the audience, Cindy, a bit, so first of all, let’s introduce my great co-host Cindy Nicholson and maybe you can also tell them what we’ve decided we’re going to be talking about during this show Cindy? Cindy: Absolutely Jonathan. I hope you’re enjoying your holiday over there across the pond. Jonathan: I did my destruction of our proposed guest. Cindy: Well, you know, we can only hope. We’ll keep working on it, Jonathan. Cindy: So, hi everyone. I’m Cindy Nicholson from TheCourseWhisperer.co where or .com. I actually, Jonathan, just got the .com which was really kind of cool but now I need to do all the transferring over of stuff so I haven’t done that yet. Jonathan: More work. It never stops when you’re running your own business. Cindy: It never stops. So it is now TheCourseWhisperer.com and I help entrepreneurs that want to create online courses and help make it easy to create courses that are engaging and effective and get real results for their clients. So, Jonathan and I were chatting before and talking about what kinds of things our audience might want to hear about. One of the things I keep facing is I come across the same things, the same mistakes that entrepreneurs make when they’re creating online courses and so I thought Jonathan and I could talk over this podcast about some of the more common mistakes we see. Me from a content perspective and Jonathan from a tech perspective when it comes to creating online courses or membership sites. So, does that still sit well with you Jonathan? Jonathan: Totally, you know, yeah. Like I say, thank God you thought of it Cindy because I was in holiday mood so I wasn’t really in the right place, was I? Cindy: That’s okay. We’ll keep you going here, Jonathan. Jonathan: Yeah. I’m in the UK folks, back to my homeland having my tea and crumpets, my afternoon tea, I’ve got my cup of tea, my English tea here. And my sister has been looking after me very well and bossing me around as well as older sisters do, don’t they Cindy? Cindy: That is true. I’ve got two older sisters so I know what that’s like a lot. Jonathan: Yes, there we go. So, let’s start with you, Cindy. What do you think is number one on your list of major mistakes that you’ve seen based on your extensive experience Cindy? Cindy: Yes. Well, part of my extensive experience is being a student myself and taking online courses and seeing these mistakes over and over and over again, which is one of the reasons what prompted me to go into business to help other entrepreneurs because so many people are so good at what they do but they struggle with kind of translating that into learning material. So anyway, my biggest mistake guaranteed, hands down is that people want to include way too much content in their course. Jonathan: Yes. They want to produce a version of War and Peace online, don’t they Cindy? Cindy: Well, exactly. And they feel that if somebody is investing in them, that they want to give them anything and everything that they know to feel like the student has gotten quality. Jonathan: Can you imagine Cindy if Tolstoy had been a course creator? Cindy: No, I haven’t imagined that Jonathan. Thank you. Jonathan: You would have never finished the course, would you? Cindy: No, that’s true and there’s so many courses out there that I haven’t finished because the content, there’s just way too much. Either the videos are way too long or that there’s just way too much information or data to sift through. And so, from a content perspective, that’s the biggest mistake online course creators make is they think that they need to give every detail, everything that they know to the minute detail. Jonathan: Well, in a way, it’s kind of linked with our previous interview with Issac Tolpin of ConveYour, microlearning, isn’t it? It’s kind of linked in some ways, isn’t it? Cindy: Yeah. You know one of the messages he said last week is one of the ways to address it is to just have smaller lessons. So rather than having a 30-minute or a 60-minute lesson, break it down into a 5-minute lesson. So you may have more lessons, but you can teach one different teaching point in each lesson. So you have a 5-minute lesson then your students can go away and do something with that information, apply that information that you just taught them and then kind of go on to the next lesson. Whereas, if you have something that’s 30 minutes long or 60 minutes long, the first 15, 30, like it’s gone. They’re never going to do anything with that information that you’ve just taught them and it may be brilliant but people won’t take the time to go back and redo things. Jonathan: I think quality versus quantity is, we’ve had some discussions about this, haven’t we, online and offline, so watch some of our previous internal shows folks. Doing some pre-testing and cutting back but keeping the quality high but cutting back. It’s not a criticism, it’s just easier in some ways to think a ton of content is providing a ton of value but it doesn’t really work that way really, does it, Cindy? Cindy: No. And this is the way I kind of like to think about is the people who are investing in your course, they’re not investing to get content, they’re investing to get a result. They’re investing to get something to change in their life. And if you can do that in 12 lessons versus 40 lessons or in 2 hours versus 6 hours, then your students want that. People aren’t listening to these long videos anymore. They want to get in and get out just because of their lifestyle. The way we’ve designed our lives these days, it’s not conducive to these long lecture-style courses sort of thing. But the problem is that’s all we’ve known. Jonathan: You mean these English guys that tend to waffle a bit, Cindy? No, but fundamentally it’s very similar to Web Design Cindy is that people, actually Web Design is rather complicated, even though the technologies have got a little bit simpler. What I mean by that is Web Design, after you’ve done a bit of it and you work with clients, you know that your home page doesn’t want to be War and Peace, actually. Because actually, you want the core message to be there, the core offering, why somebody should stay on the website and one major call for action. And you’ve also got some requirements that Google wants when it comes to SEO. So it’s always a bit of a toss-up really. But basically, as they progress through the website, they’re showing interest. They’re showing that whatever you’re showing them as they progress from one of the major navigation pages and then they go to a more internal page, they’re showing intent. And as they show more intent, you show them more information and more detailed information. As you were speaking, in a way, maybe that’s how a course should be structured, that even if you’ve got a large course, maybe the first few lessons. And as they progress in the course, you can then show them more and more information. Is there some kind of linkage there maybe Cindy? Cindy: I think the first few lessons might be a bit more introductory, in terms of kind of getting them warmed up and getting them used to how you’ve structured the course in terms of activities and stuff. So, I think future lessons can still be a bit more complicated and can be a bit more involved. I wouldn’t necessarily go longer per se, but the complexity about what you’re talking about can definitely go up as you get deeper into the course because they’re increasing their expertise as they go sort of thing. Jonathan: Yeah. When it comes to the technical side, folks, the good news is fully hosted solutions or a self-hosted solution using the best CRM system at the present moment which I feel is WordPress. Your sport for choice, basically. That’s the good news. The bad news is having some slight notion where you really want to take this if you end up with the best result that your heart and your vision sees. So, don’t plan it in minute detail because it’s basically not worth the energy. But having some general points and idea where, you might sell physical products or you will be having multi courses or you might be building this out to a level where you really want a unique design. Having some idea where you’re going to take it which will help you choose a platform that will allow you to get there without having to change platforms in mid-stream, if you understand. If you’re going to keep it a very simple course and you have no vision of ever building extra courses, probably go in with a simple SaaS set up is probably the way to go, probably WordPress isn’t the right solution. But if you’re going to plan to have multiple courses and you know that when you get the money or you really want a top individual design and you’ll probably want to sell physical products or other digital products on your website and you know that’s in your heart, probably a self WordPress and a self-hosted solution is probably the way to go from day one, isn’t it? So, that’s my first tip, have some idea where you’re taking this ship really. Cindy: Yeah. And just to kind of second your point there Jonathan. The client’s that I work with, they’re often coming to me to create a course. So one course, usually kind of their signature course that they want to create so it’s a little bit bigger. I haven’t come across one client yet that thinks that that’s going to be the only course that they create. Once you start one, the ideas of all of the multiple courses that you could create just keep coming and they get really excited about it because they see the potential of what one course can do, then they start thinking about all of the other courses that they can do. So it’s good advice like when you’re first starting out but it good to keep an eye as to what the long-term perspective might be. Jonathan: Yes. What’s number three thing or number two on your list that people make mistakes on Cindy? Cindy: Well, I just always go back to my clients and like, “What advice do I keep saying over and over and over and over again?” The first one is content, like cutting back volume. The second one is and I say this often, just because you say it doesn’t mean they’re going to learn it. And so, what I mean by that is you have to, well, okay, have to is a strong word but I recommend that you have activities or follow-up or application, some sort of things for your students to do after you finish a lesson. So, if you’ve got that one 5-minute lesson, always have something for them to do after in order to practice or implement or just kind of internalize the information. Whether it’s printing off a tip sheet, whether it’s some sort of activity you want them to do, always have them do something so that they can start to internalize it. Whereas, so many courses I’ve taken, the person talks for 10, 15 minutes and then they’re like, “Okay. Well, you can go on to the next video.” And then, you kind of just sit there going, “Well, that was nice information.” And then, it’s gone, like you don’t do anything with it. The mistake I often see is that they don’t have these worksheets or exercises to do as part of their course. Jonathan: I think that’s fantastic advice and with the SaaS platforms and certainly with WordPress or some of the modern Learning Management Systems like LifterLMS and LearnDash, both of those WordPress, Learning Management platforms come with great quizability and gamification and all the bells and whistles that you really need and listen to Cindy’s advice there. I think we’re going to go for our break, Cindy. And when we come back, we’re going to delve a bit more and I think it’s my turn, isn’t it, when we come back. Jonathan: We’re coming back folks in a minute. Jonathan: We’re coming back. Your main host is on holiday mode. He’s been set free. Cindy’s the stable one. And before we go on with our previous conversation before the break, I want to speak about one of our great sponsors and that’s WP Fusion. What is WP Fusion? Well, it’s a plugin for WordPress and what it does is in your stack, your technology stack, there’s two major elements, WordPress and your CRM, like ActiveCampaign, Drip, there’s a host of them. And they’re really two really important elements like I say in your technology online stack of technologies. And having them really communicate really tightly is really important and that’s what WP Fusion does. It really puts your CRM and WordPress on steroids and if you’ve got a membership website, it’s a perfect solution and it enables you not to be, let’s put it this way. If you ever decide to change CRM, with a few clicks of buttons through WP Fusion, you’ve got everything set up so you’re not entrapped and that’s the beauty of WordPress folks. You’re not entrapped with a SaaS learning system. If you ever decide you want to move host, move people, WordPress allows you and with this plugin you’re not entrapped with a CRM. You can move. And what the beauty of it is it’s easy to set up and therefore for WP-Tonic exclusive offer, if you go to the WP Fusion website, they’ve got a load of training videos on there and it supports 40 of the leading CRMs so it will, with little doubt, support the one that you’re using. They’re offering 25 percent off and they offered us a unique coupon code and that WPTONIC, all uppercase, one word and you go to the WP Fusion website and use this coupon code. You will get 25 percent off any of their packages and that’s exclusively only to the listeners and viewer of WP-Tonic. It’s a fabulous deal and I highly recommend that you do that. So, on to the conversation. I think mistake number two is if you’re hosting yourself, you’ve got to have quality hosting. I can’t describe with you the amount of people that we’ve come to and they’re having a nightmarish launch and a nightmarish experience and they’re blaming WordPress for it, but the truth was is that their hosting never was capable of even supporting a launch with let’s say, 20 users. As soon as they start using, more than 5 people start using their website at the same time, the experience is a nightmare, Cindy. So, your $3 a month hosting account isn’t going to work Cindy. Cindy: So, what kind of problems do people face if they don’t have the right host then? What specific things will happen to them? Jonathan: Well, those really cheap accounts were really, those bargain prices were set for sites that get no traffic, don’t get any results. And also, the way they work is, I’ve forgotten the technical word that describes this Cindy, but it means when you have, actual e-commerce and membership websites have unique requirements that a generalistic site don’t need and it’s to do with users actually signing in and utilizing the resources of the database at the same time. There’s a word that describes it but, as I said, I’ve forgotten it at the present moment on my holiday mode. But it basically puts a lot of strain on the database and the requirements and these really cheap hosting plans will not be able to cope with that in any shape or form Cindy. Cindy: So, what should somebody be looking for if they’re thinking that they want to have a membership site or whatever? What kind of feature should they look for? Jonathan: When they start to look, they tend to go berserk actually Cindy. And then, they look at a VPS, that’s a Virtual Private Server and you don’t need that either. You shouldn’t go with cheap shared hosting. But then, they’re sold by some hosting provider, a VPS and that’s over the top. What you need normally is better shared hosting. Hosting itself is in a bit of a change at the present moment because through Amazon and definitely through Google. Google now offers a lot of hosting providers, their own technology when it comes to hosting. Hosting providers are putting their own unique interface on the resources that come direct from Google. Until about 18 months ago, 2 and a half years ago, hosting could be divided really into three separate buckets. You had shared hosting. You had VPS, which is Virtual Private Server. So it’s like an area of a server that’s just totally dedicated to you and then you bought an actual physical server which could be managed or managed by yourself in a data center. You had these three unique buckets. Well, that’s totally changed now because you’ve got Amazon and you’ve got Google Cloud and you’ve got some other providers like DigitalOcean and they provide a kind of virtual infrastructure that kind of overlaps these three buckets and mixes up everything. So, in some ways, it’s hard to explain than 2 years ago where you had these three separate buckets. And a lot of hosting providers still use those terms because it just makes it simpler to describe to the user base but it’s become much more overlapping and diverse Cindy. I’m just going to throw out some names which I think can provide value for money. The best value at the present moment, but not the best in this list is SiteGround and you can get something in their dedicated WordPress hosting from $7 to $14 a year. That’s probably going to do the job for you. WP Engine is a reputable company, not the cheapest. You’re looking at around $35 to $40 a month. You can look at Kinsta and their basic plan starts at $29 around $30. The problem with WP Engine and Kinsta is that with their starter plans, you can only have one website. You can’t have a website on a sub-domain. And I normally like people to have their marketing site on their main domain and have their membership and learning management system on a sub-domain. Jonathan: So, just ask some questions and just educate yourself, but don’t fool yourself that a $3 to $5 a month account is going to really work out for you. That’s the main point to take. Cindy: Yeah and it’s interesting because, again, often with all of these expenses of becoming an entrepreneur, you want to minimize, but if you are having multiple people using your site at the same time by going through your content, you want to make sure that you can support it so that you create a really good client experience. Jonathan: Where this really shows up is if they’re using their smartphone and they’re using their tablet. When it comes to actually utilizing this, that’s where it’s going to be really, really become a really terrible experience. Jonathan: And a lot of people won’t tell you. They just dump the course, won’t they? Jonathan: Especially if they’re per monthly, they’re just gone and they won’t tell you that one of the main reason why they left is that they couldn’t even get access to the content. Cindy: Yeah, yeah. No, that’s true. That’s a good point. Jonathan: Right. What’s your next point, Cindy? Cindy: Well, my next point’s a bit more, it’s an advanced tip because I see it time and time again but I think it’s one thing that course creators can do to really, I call it productizing your information. And so, what I mean by that is in your course, you’re going to teach something. You’re going to probably teach a process, a how-to of something where you’re going to give step by step instructions of how to get from point A to point Z. And what I recommend and I’ve done it for all of my clients, when they have this process created, package it as their signature system or their personal formula that’s unique to them as they’re putting out their course. Because otherwise, people are like, “Well, I can just get all of this information for free online,” which is probably true for a lot of the information but it’s not packaged in the way that you’ve presented it. So, what I recommend usually is when we’ve outlined the course structure, is we package it as a formula or as a signature system or as their own unique process and we actually create a visual of that process and we put it in the beginning of every video just to show that, “This is my unique process for . . .” If you were to create a course on, I don’t know, building a website, Jonathan, you’d probably have your own process that you do step 1, step 2, step 3, etcetera. So I recommend once you figure out what your process is, package that as your own unique, Mr. Jonathan Denwood’s process to creating amazing websites. Again, that’s something I don’t see in courses that often they just share information of how to do something but haven’t packaged it as their own unique signature system. So that’s one of the things that I recommend is how can we package it so that it’s now a product that you can offer as part of your marketing as well. I don’t know if that makes sense. Jonathan: No, totally. I think that’s a fabulous insight there Cindy. But it’s really also, to me, as you were talking, about 2 years ago, I decided to really focus on membership and learning management systems, with an emphasis on WordPress as the specialty and support, building, anything to do with that when it came to WP-Tonic. And ever since I made that decision, the company’s done better, every 3 months, it’s done better and better. It’s called nichifying, I call it nichifying. I’m not even sure that it’s an actual word actually but it sounds good, doesn’t it Cindy? Find your niche basically. Nichifying sounds better to me but it’s the same. By doing what Cindy just said, you’re kind of making your product niche and you’re adding more value to your target audience really, aren’t you Cindy? Cindy: Yeah and you’re giving them a faster process to go from A to Z. Because again, there isn’t really a lot of new information out there. What you’re trying to do is simplify the process for them to cut down on time. And if your students know, like and trust you, they’re going to value your opinion and follow your advice and you want to just give them the shortest path possible to get there. Jonathan: My insight is not so much technology, it’s more to be business aware really. It’s fundamentally, it’s the same conversation that I hear a lot of small business about having a website. They say, “Well, I use Facebook to market my business and I don’t need a website,” or, “I’ve got a website, but I don’t really spend any time or money on it, but we do all the marketing through Facebook.” And we’ve had these conversations a few times but it’s the same thing of having your own website and having it and hosting it yourself or buying a total SaaS solution. You would be bonkers to totally just rely on Facebook to market your business because if somebody makes a complaint about you or makes a serious, like I say, some form of complaint, it might not be justified, it might be a competitor just making unjustified claims about your advertising and how you use Facebook. Or you might break the conditions of Facebook by accident and who reads Facebook’s Terms and Conditions. I’ve never and I’m sure you haven’t Cindy. Jonathan: And they suspend your account. I do a lot of work, my two passions are WordPress and Facebook and I’ve had a bit of experience trying to get a suspended Facebook account re-setup and I have had some success because I’ve actually got some phone numbers of people I can actually ring up but it was still a nightmare. And for the average person, good luck to you. So, that’s really damaged their business. I’m not saying that you shouldn’t use Facebook but it shouldn’t be the central hub of your business. And it’s the same with your membership site. I’m biased and I make no bones of it, is that if you’re really are going to build a business and a really profitable business, build it on an open source platform like WordPress. Do not spend hundreds, tens of thousands of money on somebody’s SaaS platform. I don’t think that’s a great idea, Cindy. Cindy: Yeah and that’s often the argument that I hear too is you’re at the mercy of what decisions that company makes in terms of pricing, in terms of access, in terms of availability. There’s all sorts of variables that you can’t control from that perspective so it’s a trade-off, right? Jonathan: Well, I totally understand and be quite truthful about it, set up a membership, learning management system on WordPress 18 months ago with some of the bells and whistles that are offered with the full integration of these SaaS products was a pain in the posterior. That’s situation’s eased a lot and I myself offer a solution to that on the WP-Tonic site. But, in general, a lot of key pain points, but you still can’t totally match the total ease of use of some of the leading SaaS solutions out there but there is a price that’s paid for that and it normally rears its head on a slightly, as you progress in your business, those consequences start rearing their head and they tend to get bigger and bigger Cindy. Jonathan: I think we’re coming to the end of this. I think we’ve given some good insights on some of the things that should be in your mind, don’t you Cindy? How can people find out more about what you are up to Cindy? Cindy: Well, if you’re looking to create an online course and need some help in how to structure it and how to make it an excellent learning experience for your clients, you can visit me over at TheCourseWhisperer.com and reach out to me on LinkedIn. I’ve been spending a bit of time on LinkedIn and I’d love to hear about what you’re working on. Jonathan: And I can’t highly rate Cindy more as she’s become the co-host. She’s a fantastic lady, a lady of integrity and she really knows her stuff as well folks. So, if you’re looking for somebody to help you with all that content, I can’t highly rate Cindy more. If you want some help on the technical side of hosting and you want to commit yourself to WordPress, we would love to help you either with a new site, a new membership site or if you’ve got an existing one and you want to come back to WordPress, we’re here to help you out, folks. That’s what I’m committed to and we would love to help you out. 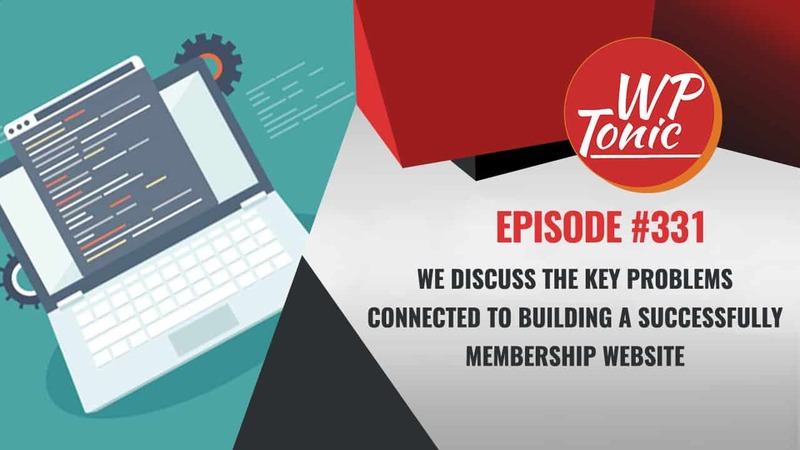 And we’ll be back next week with a fabulous guest with more insights that will help you grow your membership, learning management system website to the success that you wish and imagine. We’ll be back next week folks. Bye.